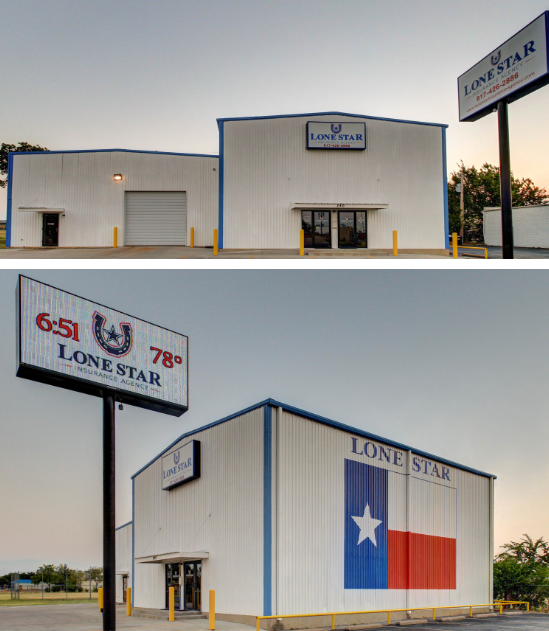 Lone Star Insurance Agency is a Texas based independent agency serving the needs of drivers and homeowners throughout the state of Texas. We are locally owned and operated by Naaman Maxedon. Our office has become the "go to" agency regarding personal lines insurance for both consumers AND insurance companies in the North Texas area. We have experienced tremendous growth over the past few years. In 2013 we moved to our current 5600 square foot location with high visibility along Wilshire Blvd. Our large LED sign is seen by thousands of people and is the talk of the town. Everything from motivational, humor, political and even Bible verses appear on the sign on any given day. For more information about independent agents vs. captive agents click here.